Britain has said that Russia was "highly likely" to blame for the poisoning of Sergei Skripal and his daughter Yulia, using Novichok, a nerve agent. 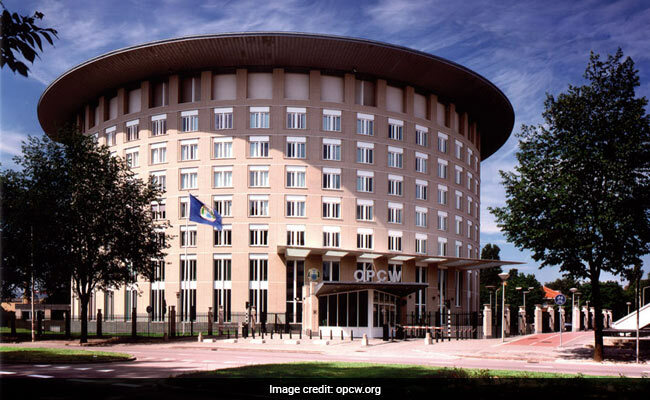 Moscow: Inspectors from the Organisation for the Prohibition of Chemical Weapons (OPCW) conducted an inspection at an undisclosed location in Russia in the past week, the Russian Defence Ministry's official newspaper said on Friday. The Russian Defence Ministry's official newspaper, Krasnaya Zvezda (Red Star), on Friday published a graphic showing events over the past week which included a mention of a visit to Russia by an "inspection group of the Technical Secretariat of the OPCW." Britain has said that the Russian state was "highly likely" to blame for the poisoning of Skripal and his daughter. British officials say they were poisoned using the "Novichok" nerve agent which, they say, was developed in the Soviet Union. Moscow denies any involvement in the attack and says it has no stocks of "Novichok" or any other chemical weapon. A diplomatic row has flared up over the case, with scores of diplomats expelled in multiple countries.